Microsoft reported better-than-expected earnings for its fiscal first quarter, on Tuesday, although the software giant’s second-quarter guidance failed to meet analyst expectations. 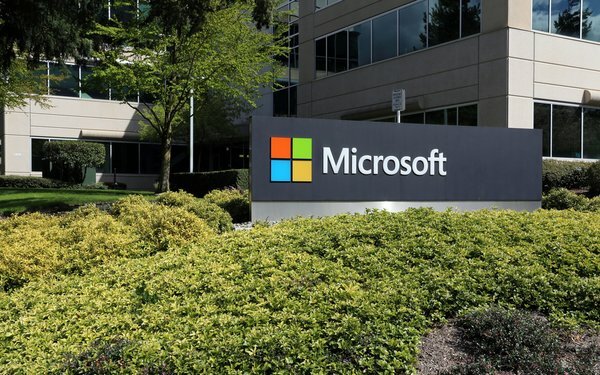 Driven by the continued success of its Azure cloud computing services and Office 365 software, the company’s quarterly revenue rose to $29.08 billion -- up 19%, year-over-year. Net income rose to $8.82 billion, or $1.14 a share, which was up 34%, year-over-year. “We see continued demand for our cloud offerings, reflected in our commercial cloud revenue of $8.5 billion, up 47% year over year,” Amy Hood, executive vice president-CFO, Microsoft, said in an earnings statement. During the quarter ended September 30, revenue in productivity and business processes was $9.8 billion, which represented an increase of 19%, year-over-year. Office commercial products and cloud services revenue increased 17%, which was driven by Office 365 commercial revenue growth of 36%. Office consumer products and cloud services revenue increased 16%, thanks to a rise in Office 365 consumer subscribers to 32.5 million. LinkedIn revenue increased 33%, which was partially thanks to session growth of 34%, year-over-year. For the quarter, gaming revenue increased 44%, with Xbox software and services revenue growth of 36%, which Microsoft attributed mostly to third-party title strength. Excluding traffic acquisition costs, search ad revenue was up 17%, year-over-year.